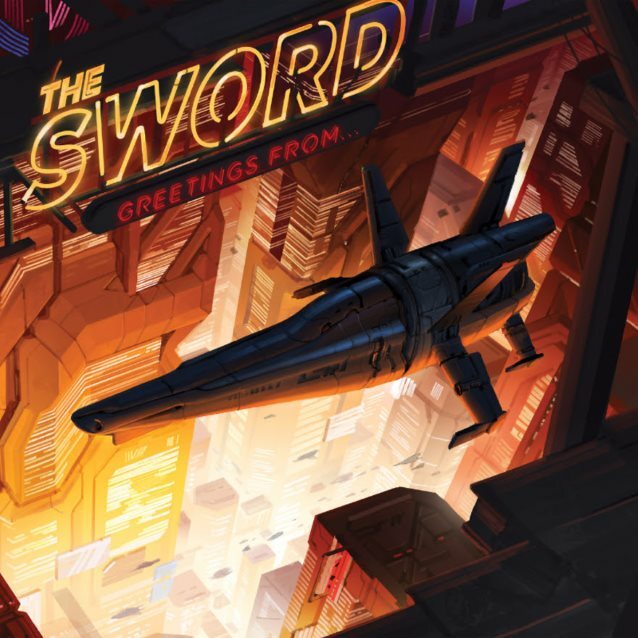 Austin, Texas metal luminaries THE SWORD will release their first-ever live album, "Greetings From…", on May 5 via Razor & Tie. The band recorded all of the shows on its fall 2016 tour with OPETH and chose nine songs to make up the track listing on the disc. Starting today, "Greetings From…" will be available for pre-order on iTunes, with "Maiden, Mother And Crone" being an instant grat track with every order. Vinyl and physical CDs can be pre-ordered at the band's webstore and also at the Razor & Tie webstore. Those ordering on the band's webstore have a choice of multiple bundles, including a custom laminate, slip mat, exclusive t-shirt, and a limited edition signed lithograph of the album's cover art. The label's webstore will feature bundles with an exclusive t-shirt and hoodie. To support the "Greetings From…" release, THE SWORD will do two legs of touring in May and July. 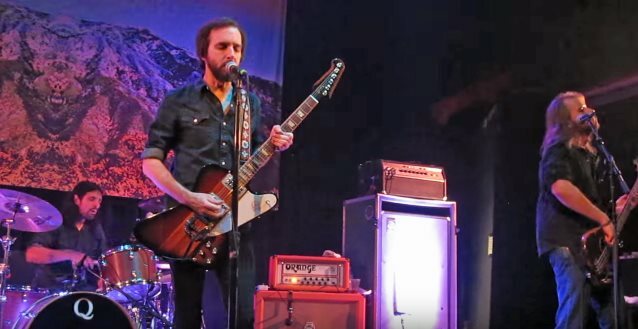 The May tour, focusing mainly on the eastern half of the U.S., will feature eight shows supporting CLUTCH and LUCERO, and eleven headline dates featuring support by CROY & THE BOYS, MOUNT CARMEL and PONTIAK on various dates. The July dates will be focused on the West Coast and support on all shows will be provided by BIG JESUS. THE SWORD will commence the recording of its sixth studio album in September, with a release scheduled in early 2018.